Eratosthenes was a mathematician and astronomer from Greek antiquity. His work helped lay the foundation for many of the brilliant advanced concepts in math and science in the modern era. He also served as a distinguished and innovative geographer. Records from nearly 2300 years ago are not complete, but there are documents that dictate the early years of Eratosthenes. He was born in a Greek colony and Libya and he pursued a formal education in the learning academies of Athens. Around the age of 35, he became the man in charge of running the Great Library at Alexandria. His primary duties were to serve as a scholar and manage the affairs of the library. He took time out to perform some writing and the end result would be among the most important works produced in world history. 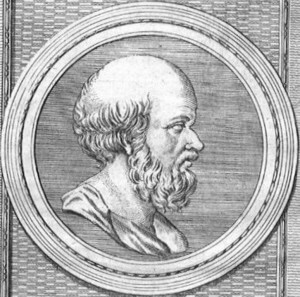 During his tenure at the Great Library, Eratosthenes wrote a treatise centering on the topic of the world. It was entitled Geography. The word had never been used before and for good reason. It means “writing about the earth” and no one had ever written about it at such great depth before. In addition to writing about the very lands of the world, the treatise delved heavily into the topic of temperature and the weather. Eratosthenes was very inquisitive and a man who always sought to make new discoveries. This would lead to his determination of the circumference of the earth itself. He had learned of a well in Syene where sunlight only reached the bottom of the well during the time of the summer solstice. Eratosthenes believed that he would be able to determine the circumference of the entire earth through measurements made during the solstice based on the shadows cast in relation to the distance between Syene and Alexandria. His complex work revealed the circumference of the earth being 25,000 miles. In time, the accurate number would be discovered and it was only 100 or so miles off from what Eratosthenes had determined. The actual calculations that the great Eratosthenes would employ were quite simple. He used simple multiplication and division. In a sense, he had too since most modern mathematical languages had yet to be invented. The work of Eratosthenes would have a profound effect on the work roughly 1500 years later. Christopher Columbus would point to the work of Eratosthenes as proof it would be possible to reach far off and distance lands by sea. Obviously, Columbus would prove his point and be awarded the chance to sail the world. The final years of Eratosthenes were tragic. He went blind while he was in his early 80s and he became depressed. He became so depressed, in fact, he chose to kill himself by refusing to eat. He slowly died of starvation as a result.